Anyway—it was great to visit with some old friends from college, as well as renowned Polka djs Pam and Jerry Zagar. 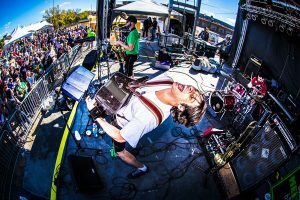 (Jerry is also a great musician on bass and drums) Looking forward to another night of merriment tonight! Alex’s interview with James Lowe on KJAG in Salina, KS is here…. 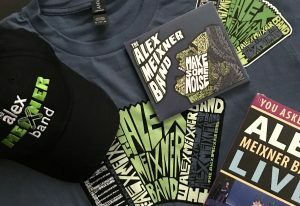 As other links become available we will post them here… In the meantime, you can pick up your very own copy of the “Stay All Night” cd—at www.cdbaby.com/meixneralex2 or at any live performance of The Alex Meixner Band. Digital downloads will be coming soon…..